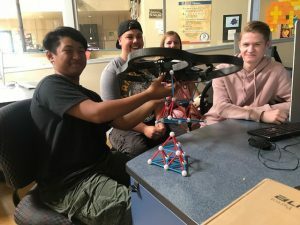 In a partnership with two other local Antelope Valley high schools, four iLEAD middle- and high-school students, Jacob Williams (10th); Chloe Williams (9th); Ryan Monroe (11th); and Christian Balaton (8th) will prepare, practice, and compete in the Unmanned Aerial Vehicle (UAV) Challenge held in Queensland, Australia, on September 24-25, 2018. This preparation includes developing a payload that meets the requirements of the challenge, which is to represent a life-saving medical delivery to a person in need. Dubbed Team Hybrid, each member has also been gaining expertise in operating and flying a UAV. 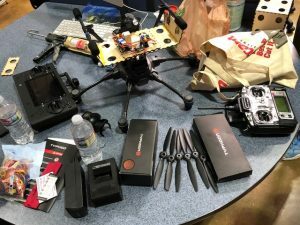 To ensure the safe and responsible operation of unmanned aircraft systems, each student has become familiar with required protocols and regulations. 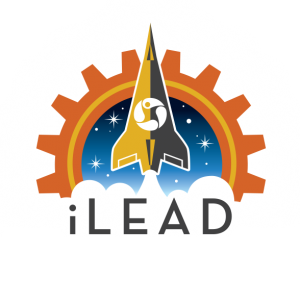 To contribute to the team’s success, iLEAD Lancaster used funds raised to support STEAM (Science, Technology, Engineering, Arts, & Math) projects to purchase a hexacopter drone which was selected for speed and controllability. Additional funding originated from the Lancaster/AV Vision in Education Benefit Dinner, individual gifts, and student fundraising. 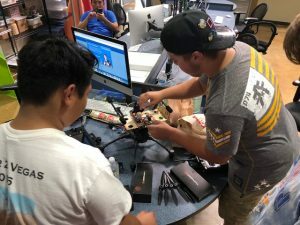 Team Hybrid will be raising funds through snack sales, car wash, and team sponsorships through local businesses and members of the community. Each family has also committed to supporting their young people, to fill any fundraising gaps. The team is also seeking sponsorships. Payload development has gone through several iterations. 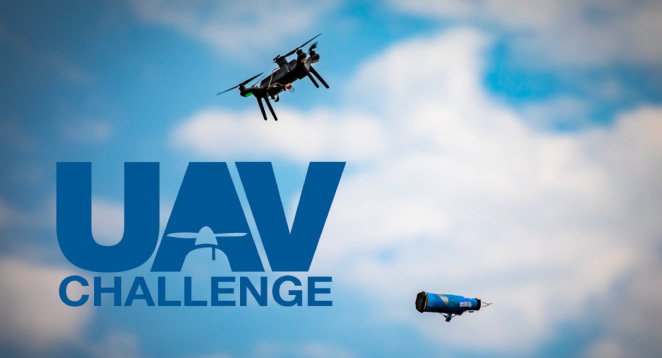 The mission of UAV Challenge 2018 is to replicate dropping an EpiPen to a lost hiker. To meet the challenge, Team Hybrid created a controllable dropping mechanism which delivers the payload. An additional payload factor is to protect the delivery from the impact. The team is required to write a technical report, mirroring the work done by engineers as well as a video documenting the team’s aircraft ability to display stable takeoff, flight, payload drop and land. The technical report and payload development will also be presented orally during the challenge.